Today we received a couple pictures of the CT Reef Balls. 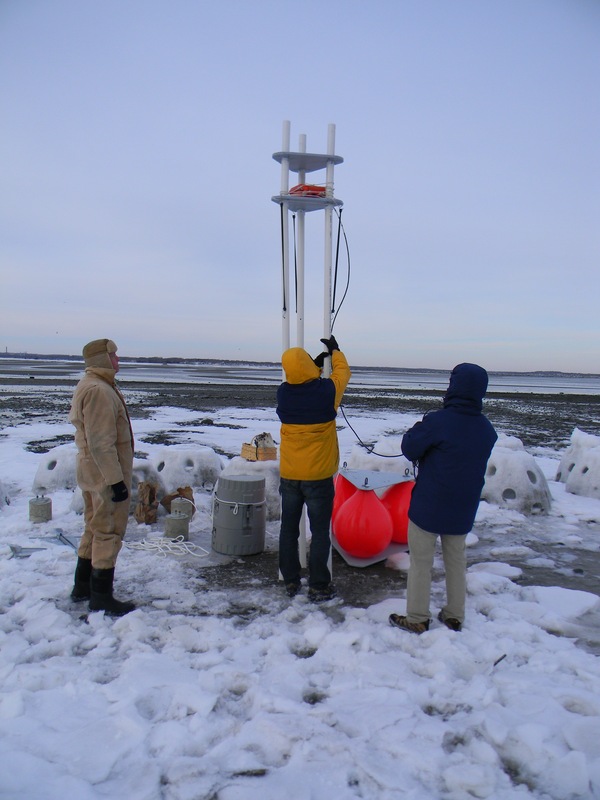 With the numerous freezes this winter the project is holding up, Dr. Jennifer Jennifer H. Mattei, Ph.D. Professor of Biology Sacred Heart University reports “Worst winter on record and the reef is still standing. Not a crumbled edge to be found and the reef has gone through numerous freeze and thaw cycles”. 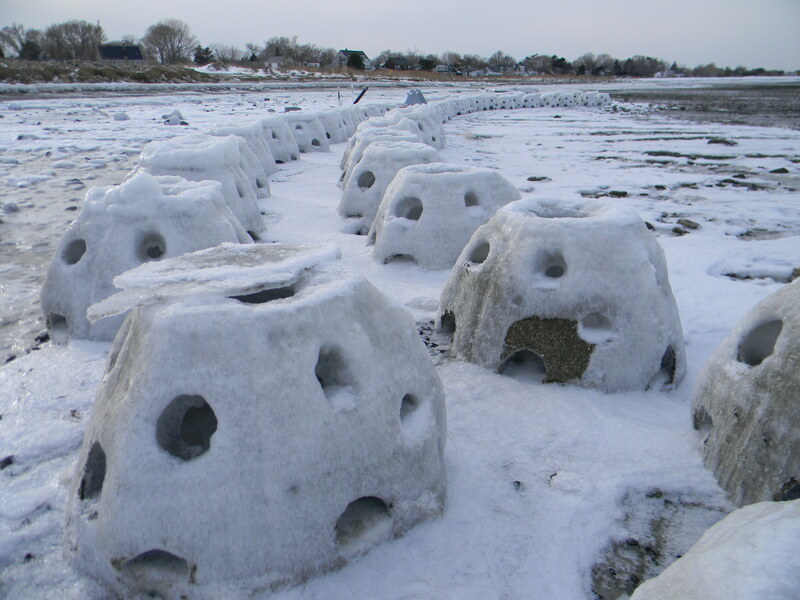 CT Sacred Heart University researching on frozen living shoreline.